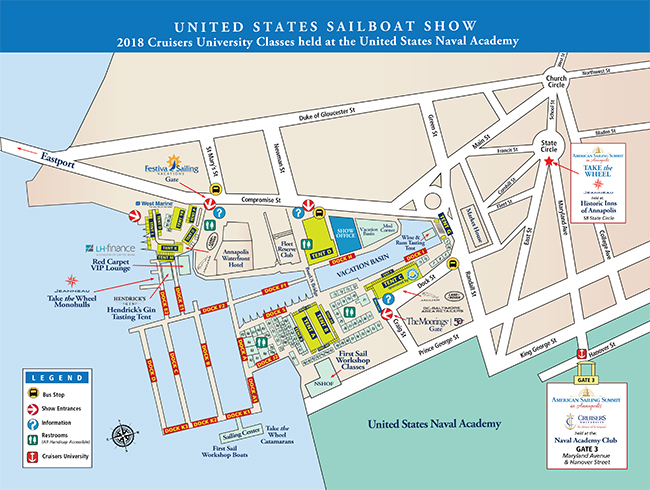 For the last decade or more, the sailboat section of the big Miami boat show, called Strictly Sail Miami, has been held at Bayside at Miamarina near downtown Miami. The powerboat section of the show moved to Virginia Key, next to Key Biscayne, two years ago and has settled in there. 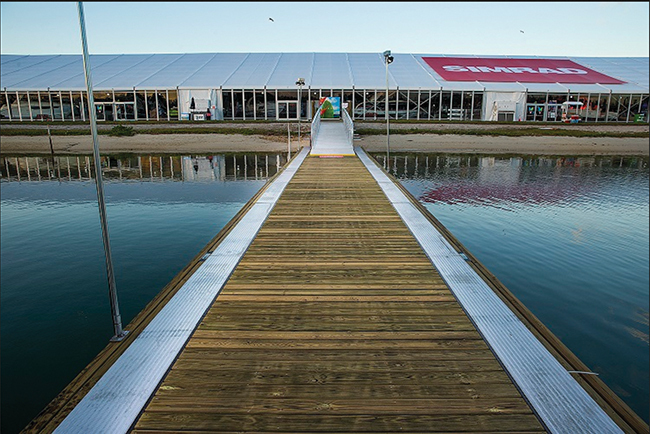 This year, 2018, the sailboats will also move to Virginia Key and will have what show managers are calling the Sailing Pavilion. 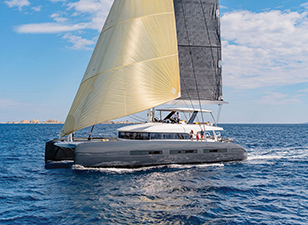 The Miami show has become one of the largest multihull shows in the U.S. as well as hosting a good cross section of the monohulls on the market. 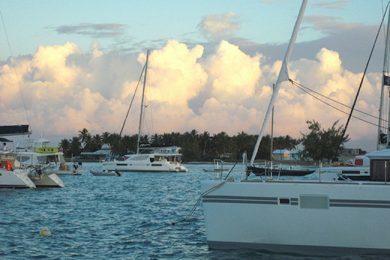 For those looking into buying either a new monohull or multihull, the Miami show in February is the place to be. Here’s a preview, in alphabetical order of the monohulls that will be on display at the show. Bavaria: The large German builder will have a good selection of boats at the show with examples from each of their product lines: Cruiser, C Yachts, Vision and the new Easy 9.7. 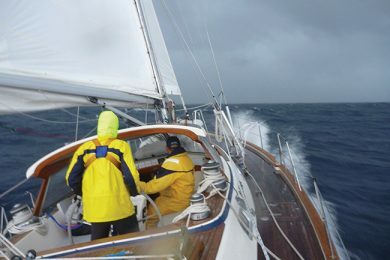 Bavarias are all designed by Farr and have shown good sailing performance. But, the boats are most noted for the volume of the hulls and expansive accommodations. 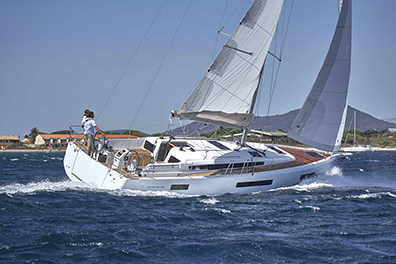 Beneteau: The world’s largest recreational boat builder, Group Beneteau includes Beneteau, Jeanneau and Lagoon. 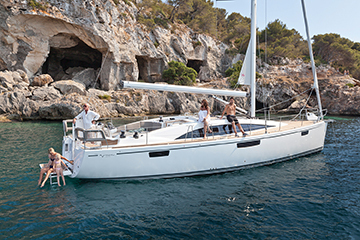 The new Beneteau 51.1 was the featured Beneteau at the Annapolis sailboat show and turned many heads. Check it out in Miami. 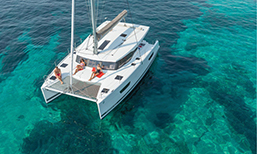 Beneteau will have a wide selection of their models at the show so you can really spend some time seeing how they manage to fit so much quality and value in their boats. Catalina: With the introduction of the new 425 18 months ago, Catalina launched a new design line and created a boat that competes very favorably with the high volume production boats from Europe. The 425 won boat of the year awards last year. The company continues to blend classic American detailing and quality with modern design concepts offering both excellent and enduring value. Dufour: This French builder is one of the most popular brands in Europe and a brand that has been around since the Sixties. But in the US, Dufour is still a sleeper. Yet, the boats are fine sailing designs, the styling is very modern and the accomodations spacious, bright and comfortable. 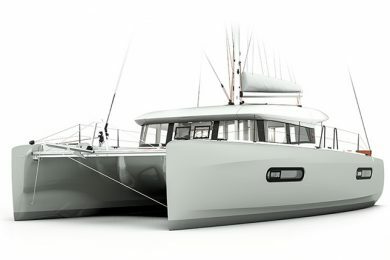 If you are looking at production boats, Dufour is worth a second look. Elan: Elan, based in Slovenia, started as a ski and snow sports company after WW II. Then, they branched out into yacht building and have some very interesting boats on offer under the Elan, Impression and Grand Tourismo brands. Their boats are cutting edge, modern performance cruisers with lots of design innovation from the mind of legendary design Rob Humphries. If you want the future of cruising, Elan can take you there. 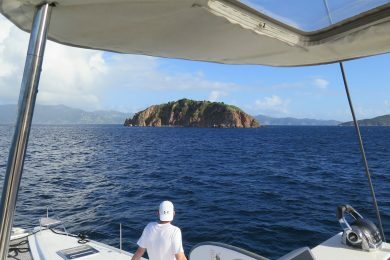 Island Packet: The well known cruising boat builder from Florida was purchased last year by one of the IPY dealers who have come in and turned the company around. Knowing the boats as well as they do, the new owners have been able to modernize and upgrade the existing designs to make them more in step with current cruising needs. If you love IPY boats, you’ll be impressed by the new versions. If you don’t know the brand, check the boats out to see what blue water cruisers are all about. Jeannneau: Sister company to Beneteau, Jeanneau has been building quality production sailboats for 60 years and many thousands of boats all over the world. 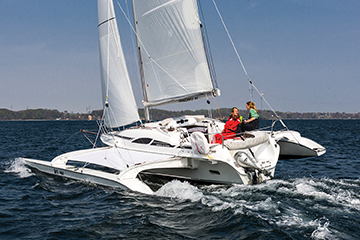 At the fall Annapolis sailboat show, Jeanneau introduced the new Sun Odyssey 440 to rave reviews. 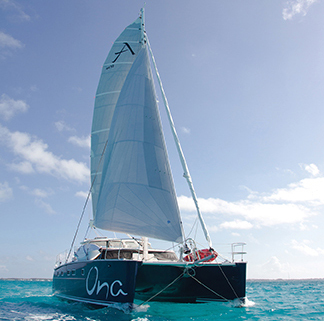 It is one of the most innovative cruising boats to come along in many years. 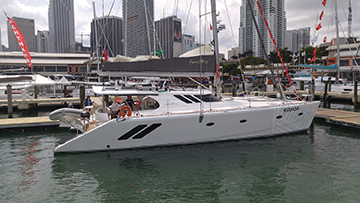 In Miami they will introduce the new Sun Odyssey 490 that carries the innovations in the 440 to new heights. Jeanneau delivers a very pleasing combination of tradition and innovation that makes them one of the leaders in the sailing marketplace. 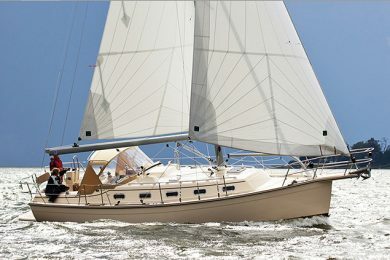 Oyster: Oyster Yachts are yachts in the true tradition of offshore sailing, with moderately heavy displacement, lots of teak, large after cabins and spacious raised saloons. Built in England, the company offers boats from 48 to 100 feet and each is built on a semi-custom basis. Not priced to be bargains, Oysters are for sailors who want a proper blue water cruising boat that is capable of taking her crew across oceans and around the world with grace and luxury. Seaward: The Seaward brand is now part of the new Island Packet company but the boats, orginally designed by Nick Hake are still salty little coastal cruisers with innovative swing keels and kick up rudders. For the Gulf Coast, Bahamas, The Chesapeake Bay or southern New England – all blessed with thin water – Seawards are perfect weekender or summer cruisers. 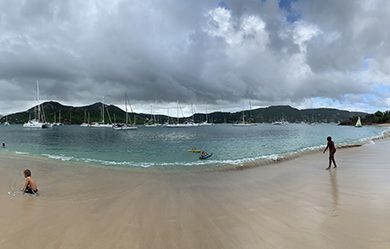 Here’s a preview, in alphabetical order, of the multihulls that should be at the show. Antares 44i: The Antares 44i is something of a cult cruising cat that has such an avid following that you often have to wait up to a year to have your own semi-custom boat built. The boats are built in Argentina by master boat builders and each 44i is its own work of art. 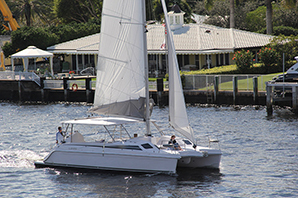 Under new ownership in 2017, the boats are still unique and special blue water cruisers for a couple or family. Aquila: MarineMax’s two cruising power cats are roomy, easy to handle cruising boats that are popular in both the charter fleets and as privately owned boats. The 443 is a great size for a couple and the 484 will make a fine floating home for a family who like to cruise together. If you are thinking of exploring the ICW, The Great Loop or the Great Lakes, these power cats have a lot to offer. 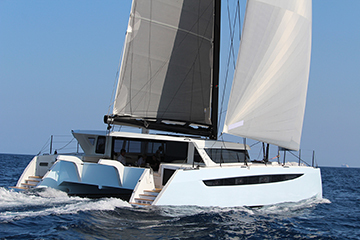 Balance: The Balance brand was created by multihull expert Phil Berman who owns The Multihull Company. 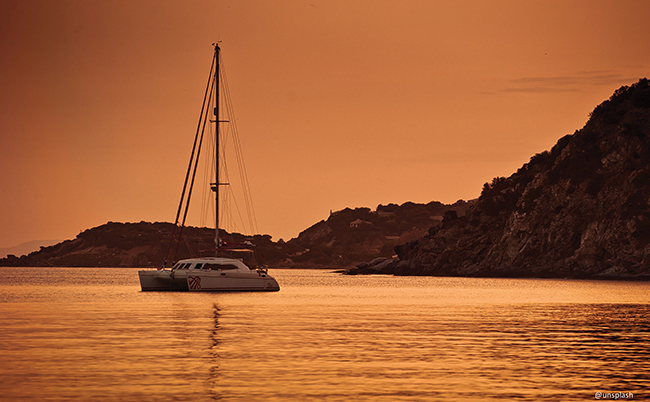 The boats were created to offer buyers a true “balance” between great sailing performance and luxurious accommodations. 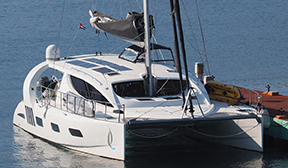 The 526 is built in South Africa by multihull experts in St. Francis Bay. 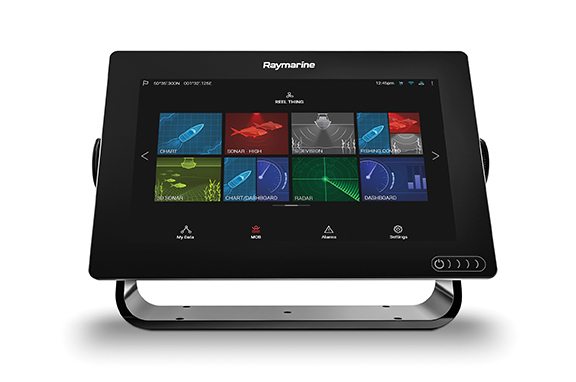 The boat is fast, fun, comfortable and fitted with some really interesting innovations, like the articulating helm that allows you to steer either from the raised helm or from the cockpit floor where you are fully protected from the elements. Bali: Dream Yacht Charter will be showing the Bali cats at the show. 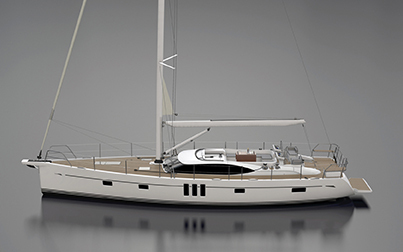 Built by Catana and designed to be both great charter boats and private yachts, the Bali concept is to create a truly indoor-outdoor boat for those sailing in warmer regions. The huge open lounging areas on the fore and after decks are perfect for sunning. The cabins in the hulls are bright, well ventilated and make you feel like you are being pampered in your home away from home. Dragonfly: These nifty, fast cruising trimarans from Denmark are great sailing machines that also offer accommodations for cruising and even voyaging. 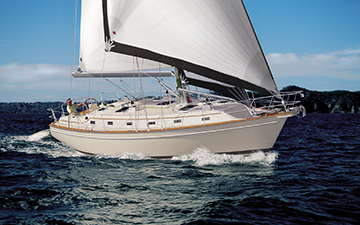 The 28 is a perfect coastal cruiser that will sail rings around almost every other boat out on the water. The 32-footer is an ocean boat that will take you anywhere, allow you to explore shallow harbors off limits to others and enjoy cruising close to nature. Dragonflys have amas that fold back against the hulls so you can fit the boats into a normal slip or trailer them behind the family SUV. 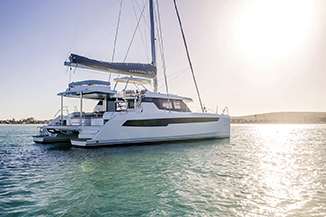 Fountaine Pajot: The French builder FP has grown into one of the largest and most popular line for cruising cats out there. The company will have a full line of their boats from 40 to 58 feet at the show so you will have a lot of choices to look at. You will note the fine finish of the woodwork on these boats and the interesting layouts. And, if you are interested in a power cat, the new MY 37 will appeal to you. FPs used to be built primarily for the charter fleets but today the line is prized by many as fine, well built and well finished family cruisers. 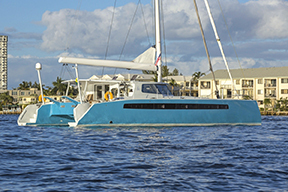 Gemini: Built in America by the Catalina company, the Gemini Legacy 35 and Freestyle 37 are unique boats in the multihull market. 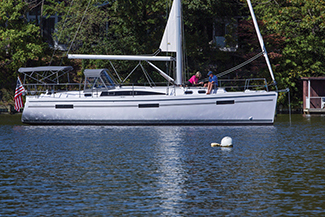 The 35 is a small cruiser for a couple but capable of crossing oceans. 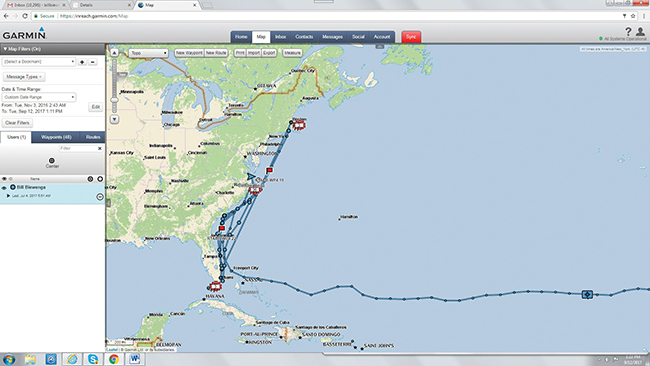 This is a great boat for the Bahamas or cruising inland waterways. The 37 is more of a working boat that can be used as a day charter boat, a dive platform or as an evening cocktail cruiser. HH Catamarans: HH is a company based in China that builds very high tech, luxury performance cruisers to Morrelli & Melvin designs – and these guys are the experts. They build both sailing and power cats and both varieties should be in Miami. 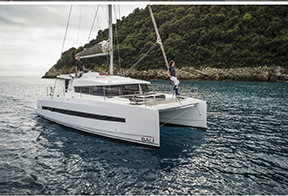 For more in-depth detail, see our six-page review of the HH55 on page 34 of Winter 2017 Multihulls Quarterly. 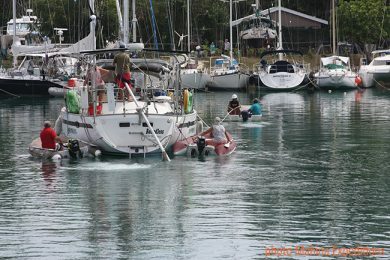 Knysna: Kevin and Rika who build their lovely 500SE cruising cats in Knysna, South Africa, hope to be at the show but their boat was in the BVI when Irma struck so they could not commit at press time. The 500SE is a couple’s world cruiser that is robustly built for long haul sailing and living aboard and very nicely finished with a lot of solid wood panels, doors, drawers and cabinets – all with a very classic varnished finish. Because they only build a few boats a year you may have to wait a while to get yours, so don’t hesitate. 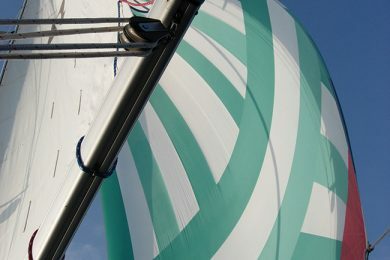 Lagoon: The French builder of production cruising cats has continued to innovate and refresh the brand year after year. 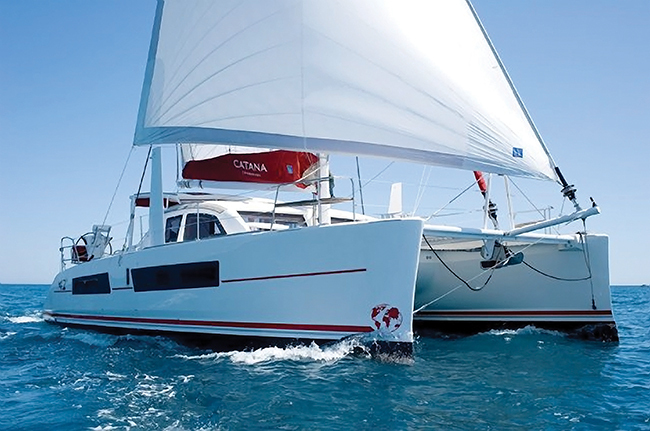 As part of Groupe Beneteau, Lagoon has the design and manufacturing resources to always be out in front – with a couple of competitors – of production cruising cat design. The boats are built both for the charter fleets and as private yachts and they do both jobs well. 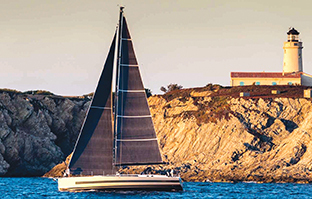 Last year Lagoon introduced their flagship, the Seventy7, which is a 77 foot cruising sailboat for very well heeled owners. It is magnificent and has been selling very well. The new Seventy8 power cat will be introduced in 2018 and should be just as impressive. 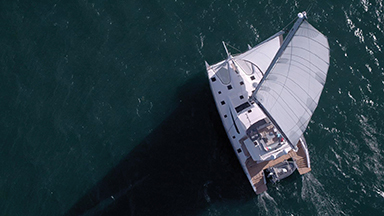 Leopard: The South African builder Robertson and Caine builds the Leopard brand of production cruising cats exclusively for The Moorings, Sunsail and Leopard who have the world-marketing rights. As one of the largest builders of cats in the world, you will see their boats everywhere there are charter fleets and great cruising grounds. For years, the boats were delivered to their charter bases on their own bottoms, so you know they are good, capable sea boats. They are also, very comfortable and commodious cruisers. 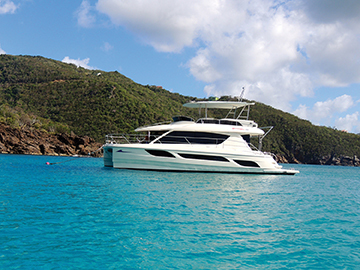 The huge, flagship 58 will blow you away and the 45 will beckon you to drop everything and go cruising. 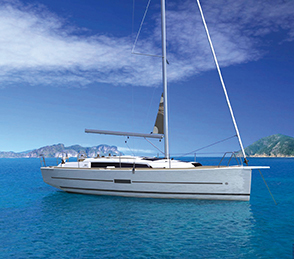 Majestic 530: Like Knysna, the Majestic 530 is built in South Africa and on a semi-custom basis. The boats have some of the finest finishes you will find in the cruising cat fleet and some truly innovative uses of space. 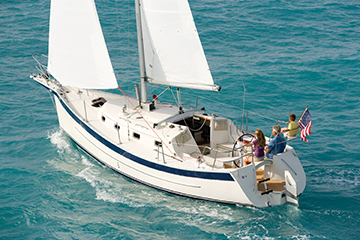 For a couple looking for comfort and plenty of cruising storage and accommodations, the 530 can hardly be matched. 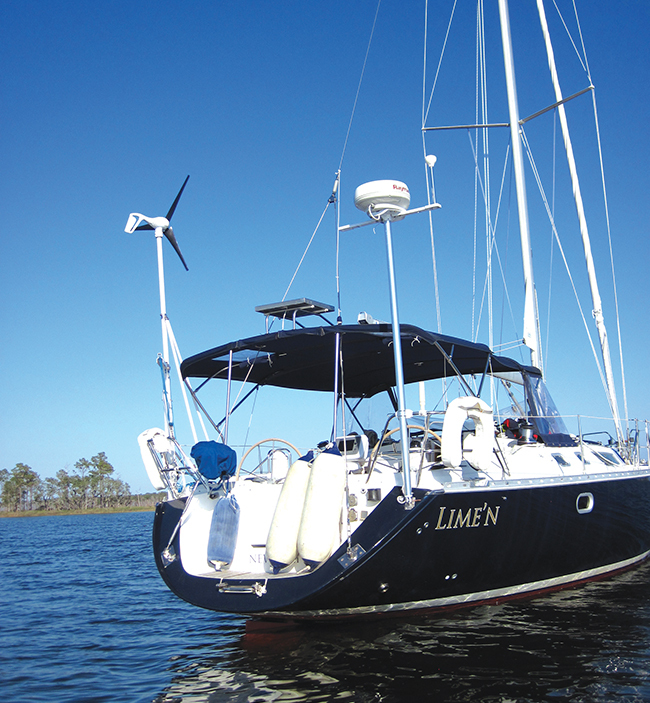 Plus, it is a proven ocean going blue water cruiser that will take her owners just about anywhere they choose to go. 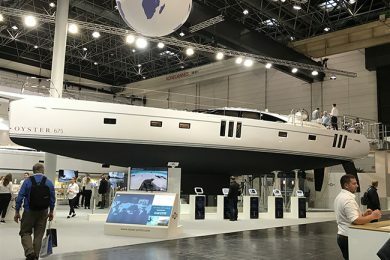 Privilege: The French builder Privilege, known for its large luxurious cruising cats, was recently acquired by the German builder Hanse and is now supported financially and technically by a much bigger boat building conglomerate. This transition has enabled Privilege to continue their evolution as a leader in the luxury end of the market. The 5, 6 and 7 series are magnificent yachts and give you the feeling that you are on a super yacht instead of a simple cruising boat. When you go aboard, check out the master staterooms, which are on the main deck level, and you’ll never want to sleep on another boat. 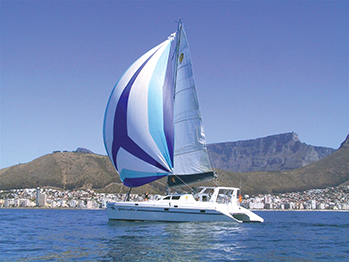 St. Francis: A venerable brand from South Africa, the St. Francis 50 is a boat specifically created for couples who want to cruise extensively in comfort and at a great average speed. The boats have been refined every year and are both modern and have a traditional feel. 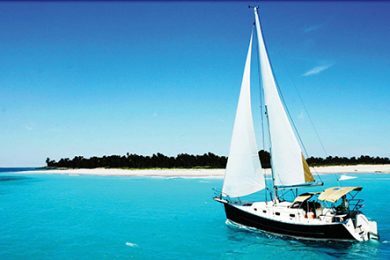 Since they are built on a semi-custom basis you can work with the builder to get the exact cruising boat you want. Xquisite: The new X5 from South African builder Xquisite truly lives up to its name. The boat is completely modern, built to the highest standard and still evokes the qualities, attention to detail and innovations that you expect from a proper yacht. Tomas and Sarah, who build the boat, will infect all who visit them at the show with their knowledge, experience and enthusiasm. They have cruised many miles and know what works in a modern cruising cat and what doesn’t.